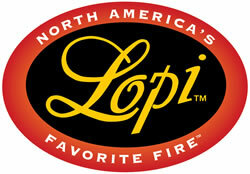 Lopi features Wood, Gas and Pellet burning Stoves, Fireplaces, Inserts and Electric. Find out more about Lopi products by clicking on the product title below. Each product type will open up in a new window on the Lopi Stoves website. Contact Colonial Fireplace for more product information and pricing by calling us at the numbers below or by emailing us by using our Contact Us page. Gas stoves are convenient, clean burning, easy to install and look great in any room. Transform your inefficient masonry fireplace into a convenient gas heater. Heat with the most convenient fuel type and enjoy our beautiful, realistic flames. Lopi's wood stoves are famous for their reliability, craftsmanship and incredible heating efficiency. Transform your inefficient masonry fireplace but keep the sights, smells and sounds of a wood burning fire. The easiest way to burn with wood! Pellet fuel is safe, convenient and renewable. Turn your existing fireplace into an efficient heater with easy to use pellet fuel.